The Kid’s Fire Engine is complete single Bed with cab, dashboard shelf and turning steering wheel. It also includes LED lights. The bed comes with special wooden slats and is perfect for your little boy or girl. The NEW Fire Engine Bed is simply stunning, finished in a bright red gloss finish which looks vibrant in any children’s bedroom. 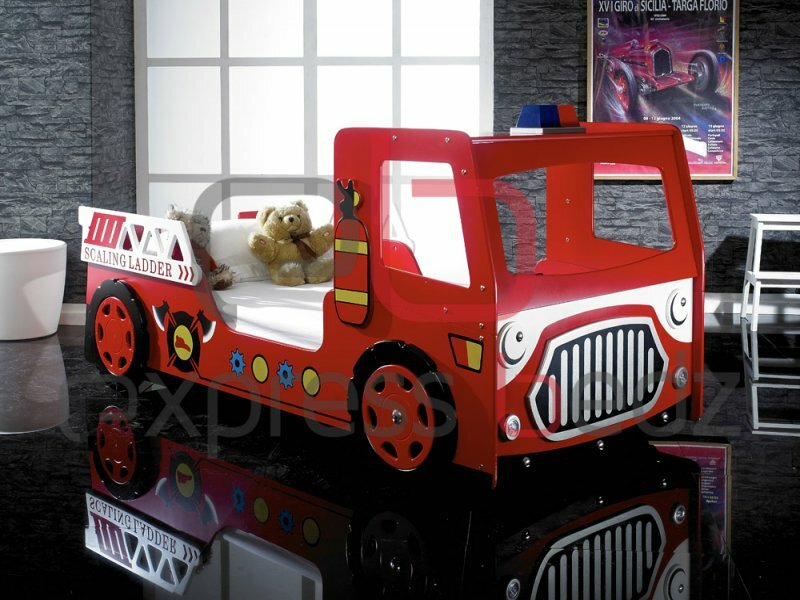 The friendly face of the fire engine bed will make childrens bedtime much more exciting and help them feel secure. The fire engine bed is feature packed, the wheels look real and the cabin has a steering wheel and LED Light. The External Length is 223cm Allowing for The Included Rail.